For many people the process of packing and then unpacking is their least favourite part of moving home. And who can blame them especially after carefully wrapping and packing each item, sometimes as soon as a few days later, you now have to repeat the whole process in reverse, unpacking your items, finding a place for them in your new home, and disposing of packing material and disposing of your packing boxes (or finding a place to store these until your removals arranges collection). It is important to plan your move. Don’t leave it to the last minute to pack! Perhaps set yourself a goal of packing a certain number of boxes per day starting at lease a fortnight before your move. Or you could plan a schedule for each room of the house, starting with the least frequently used rooms and leaving your bathroom and kitchen until last in order that you’re still able to cook, clean and shower…! Don’t forget the attic, shed, garage, outhouse or other outbuildings and remember that you’ll often have way more stored than you initially remember. From the time you start to packing, work out what items will be taken with you to the new home and which perhaps you could now do without. This is especially important if you are downsizing. Conducting an inventory check, will help your removalist in determining the time frame it will take to move all items. Take an opportunity to declutter! Decluttering your home early, and prior to your first open house can help to add value as your prospective buyers will be able to better see the selling points of your home, and not just your possessions and clutter. Decluttering can also help to reduce your removal costs. Perhaps you could consider donating items to charity, conduct a council clean up or consider using our secure modular storage to store some of your items either for an interim period or longer term. Consider using our specialist decluttering service if you are short on time or simply would prefer somebody else to do the decluttering work for you. It sounds simple, but many people fail to label their boxes. It is important that you write the items on each box. Also identify boxes that have fragile items such as glass, ornaments, pictures or antique items which require special care. Labelling will also assist with prioritising boxes that are to be unpacked first, i.e. basic kitchen or bathroom items which will ensure that you can cook, clean and shower etc. without searching through endless boxes at the end of the first tiring day after your big move! 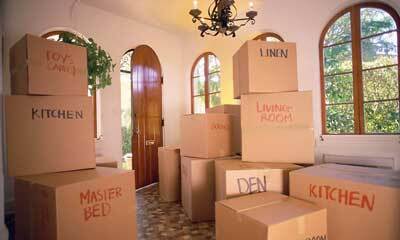 To help make your move quicker, clearly outline the room name on each box. This will prevent double handling of boxes as well as reduce time and cost with your removal company and ensure the right boxes end up in the right room at your new property. When you move into a new home, you may need to take your time in deciding how your room should look and feel. Rather than place items any where, you may want to consider short term storage. This is relatively low cost way of preventing clutter plus give you more time to time of the space. If you are finding it difficult to pack and unpack, SOS Removals and Storage provide a packing and unpacking service to make it quicker and less stressful. Our complete service from pack, move to unpack (or Store), will see you all items unpacked and stored correctly by our team. It is one service a lot of people don’t think about but it can really save you time.